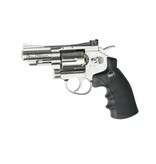 Dan Wesson 2.5" Revolver (Chrome). Compact and stylish. 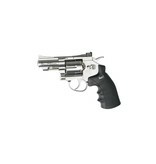 This 2.5” Chrome revolver licensed by Dan Wesson, offers realistic shooting fun in a handy size. It has authentic markings and a individual serial number stamped into the frame. 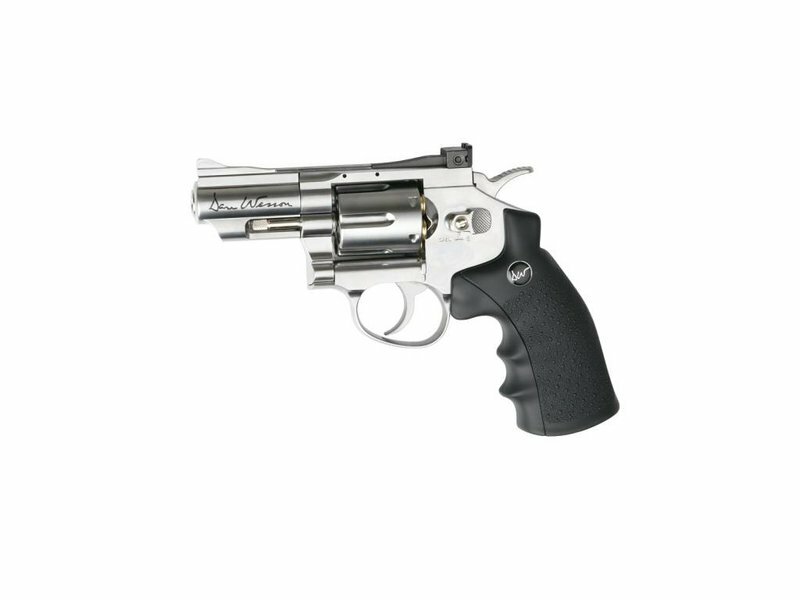 The revolver features a double action trigger system and adjustable rear sight for extra realism and accuracy. The Dan Wesson revolver is made of metal except for the ergonomic grip constructed in hard ABS plastic.